Had to turn PM's off. Email info@clueboard.co! What would a Modern Selectric typewriter look like in the timeless Navy/Cream/Yellow palette? 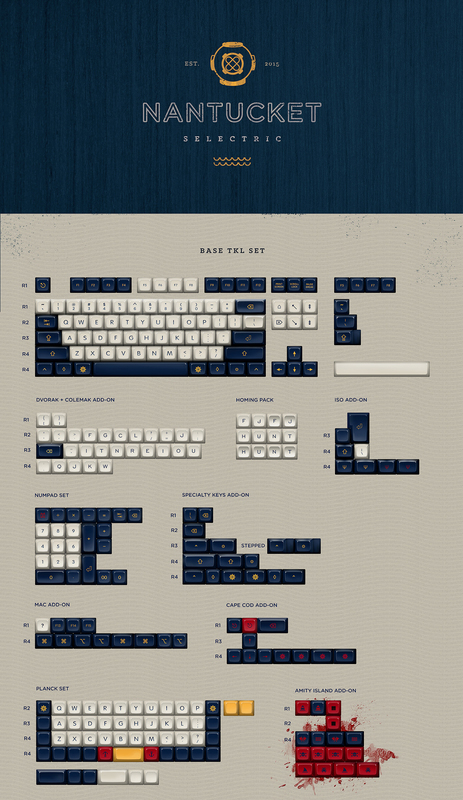 This set mimics a Selectric typewriter that never was, but could have been. One that would look right at home in your tiny coastal town, sitting on a big oak desk. The navy blue legends sit upon slightly creamy keys, providing a bright contrast that seems to defy the natural darkness of Navy Blue. The golden yellow of YCF on the mods brings out the handsomeness of BBI in a way that no other shade could. If you are curious about this set's history you can read over the interest check thread. Because a larger order results in a lower cost per set, the cost for each set will depend on how many of that set are ordered. You can commit to buy into each set at one of 4 levels. If you commit to a particular level that is not reached that part of your order will not be placed. Everyone will pay the same amount per set. You commit to 1 base set at 50 MOQ for $110, and 1 base set at 150 MOQ for $90. If only 50 sets are sold you will pay $110 for a single set. If 100 sets are sold, you will pay $95 for a single set. If 150 sets are sold you will pay 2 x $90 = $180 for TWO sets. This group buy will close on Feb 21. You will be sent an invoice between Feb 21 and Feb 29. All invoices to be paid by March 7. Questions? Need to change something after the buy closes? Want to place a large order? Fine Print: Each order will have 4% added to cover paypal fees. California residents will be charged sales tax at the maximum rate of 10%. Shipping will be invoiced separately at the time your order is ready, based on USPS shipping rates from 95066. Shipping is estimated to be June or July of 2016. If I filled out to help test should I re-fill out? Yes. The test form is null. This is the real form. Yes, all those entries will be thrown away. Sweet. Doing that now. So excited~! EDIT: Filled out! Goodbye money! Right? I think the only ones I don't want are ISO/Europe, and Ergodox. I'm even in for a Planck kit for my non-existent Planck. I don't think I'll be getting a set, but this groupbuy already looks to be very well run. Gives me high hopes for your other projects that are in the works. I guess I'm that bad, but I'm very close to buying both novelties and the specialty kit. Gotta decide on what layout my custom should be first. In for my first SA set. One suggestion, could we show the various drop locations for certain MOQs on the graph? So its a little more obvious how far we have until certain price points. Awesome! I've been typing in the website every single day for the past few weeks, hoping that it would've launched, haha! May I ask what the numbers/ colors on the real time graph means? The colors indicate the number of participants required for each tier of pricing. The numbers at the bottom (x-axis) show how many people have bought each set. Oh right, I see it now after reading more clearly. So basically, it's the ones that have choosen to have a set when it reaches the certain drop-points, right? Edit: If I'm in for the highest tier buy, I will be automatically enter for the discount if MOQ is reached? Basically, yeah. It's the best way I've been able to figure out so far for showing how many total orders there are while still showing the breakdown. If anyone is a google sheet wizard and has ideas for better ways to show this data off I'm all ears. Ohhhh, now it makes sense! Yes, everyone will pay the lowest MOQ hit, even if their commitment was for a higher priced tier. I'd love to make this less confusing for everyone. I will try to figure out how to accomplish that. Why SA 1-1-2-3-4-4 instead of SA 3-1-2-3-4-3? 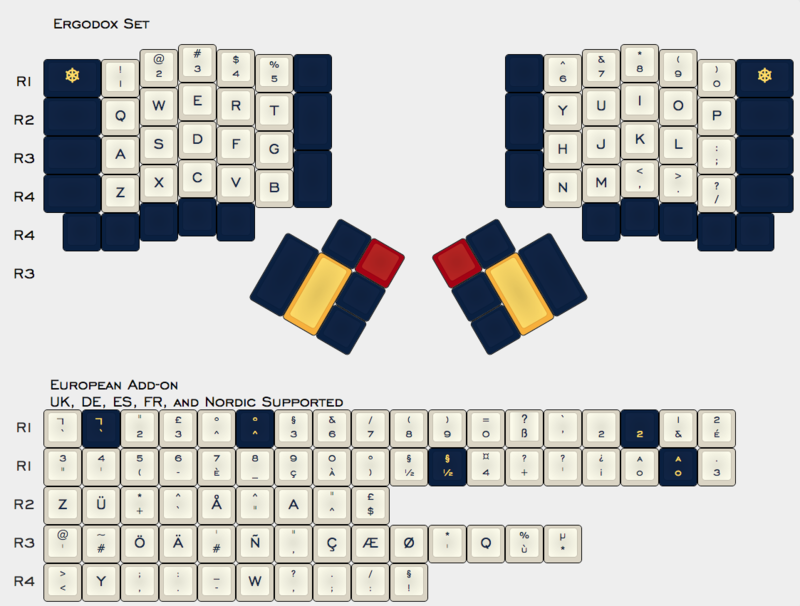 Silly question: does the Ergodox set actually include the alphas, or do I need to buy the base TKL as well? Basically, are you running this like MD where the Ergodox set is just an add on? Same question for planck I suppose. The Alps cover 65% of Switzerland's surface area (41,285 km²), making it one of the most alpine countries. Despite the fact that Switzerland covers only 14% of the Alps total area (192,753 km²), many alpine four-thousanders (48 of 82) are located in the Swiss Alps and practically all of the remaining few are within 20 km of the country's border. The ****?!? This is waaaaay past IC. Why do people always do this? I think both have their merits, but people seem to like 1-1-2-3-4-4 best. I like to give the people what they want. Both good questions, and both are self-contained. You can pick up only an Ergodox or a Planck set and cover the entire board. if I commit to purchase everything at the lowest MOQ (highest price) and by the end of the group buy what I want is at the highest MOQ (lowest price); I will pay the lowest price? Yes, you will pay the lowest price. If someone has plans to get ISO and International, PM me so i know. I have plans to make sure it tips. Location: Third state to join the Union. "If 150 sets are sold you will pay 2 x $90 = $180 for TWO sets." I think this is because the example he gives is committing to two sets at different prices. If you want one set, commit to the price that you would be willing to pay. If it hit's that price tier, you will buy at that price and if it happens to go lower than what you committed to, you will pay the lower price. This looks really nice, but why is there no 7x spacebar if some of the sets appear to have keys to outfit a 1.5 - 1 - 1.5 - 7 - 1.5 - 1 - 1.5 bottom row scheme? Just placed my order, a plank set & the Amity Island add-on my for my incoming Golbat40. I really appreciate your planck set option which eliminates wasting money on the base kit. I hope other companies start doing this too. I might add a few blank space bars to my order, will this be a problem? Never mind, see you want us to PM you. 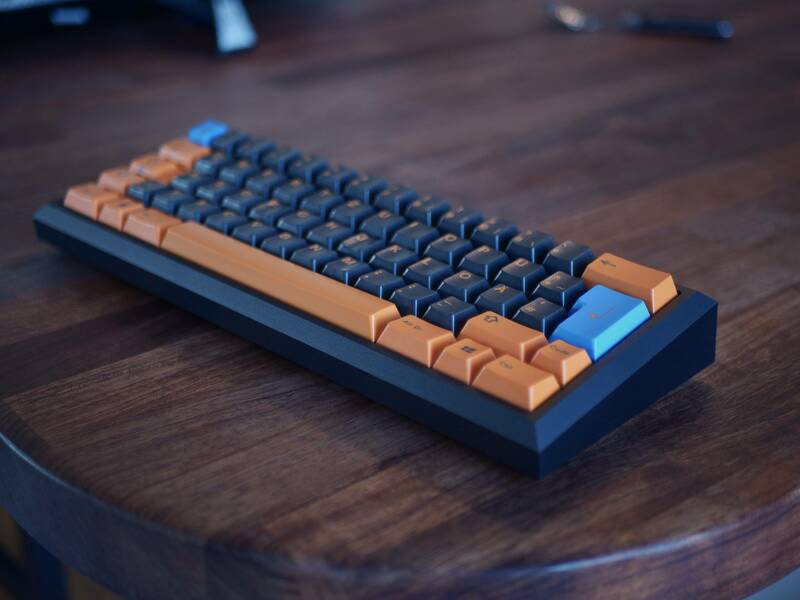 I'm definitely looking forward to kore keycap sets from you. I have been patiently and anxiously awaiting this set since I first noticed it. My order is now placed, and I shall rock nervously until it arrives. Phenomenal job on this set. THANK YOU! Just placed my order, a plank set & the Amity Island add-on my for my incoming Golbat40. I really appreciate your planck set option which eliminates wasting money on the base kit. I hope other companies start doing this too. I might add a few blank space bars to my order, will this be a problem? Never mind, see you want us to PM you. I'm definitely looking forward to keycap set from you. When you finished the form there was a link to edit your responses. If you didn't save that link never fear! Just go into the order form again and it will tell you that you can only fill it out once, and give you the link to edit your order. This will be available until the buy closes. If you'd prefer you can PM me and I will make changes in the backend. I'd prefer people to make their own changes as much as possible. I'm not demanding anything, it's a simple question, that is all, hoping to understand better. Thank you, makes sense, just hoping to understand the reasoning behind SA profile choices. Thanks! wait... what size are the two spacebars that come in the TKL Standard set? 6.25u right? It's not the same image as yours but I'll bet we arrived at them in similar ways. We now need matching cables and sleeves! And a poster and some matching artisans! Oh, and a hydro-dipped keyboard in the same blue with similar gold accents. Someone should also name their boat "Nantucket Selectric" and take a picture of their board with it. As much as I like the keyset, I have come to find I don't like SA profile caps. That was a disappointing week for me.